Anticipation for The Hunger Games movie is at a fever pitch! With just days to go until Katniss, Peeta and Gale debut on the big screen, we take a look at fan fever by the numbers. 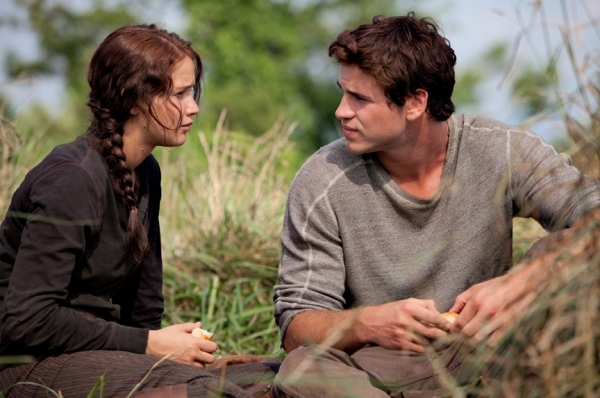 The Hunger Games‘ fans are chomping at the bit, counting down every second until the film’s release this Friday. Just who are these crazed Katniss, Gale and Peeta groupies? Social media gives a peek into just how many are out there, and what riles them up the most! Looks like even though The Hunger Games‘ fans are picking up pace, they aren’t quite ready to eclipse the size of their counterparts — though to be fair, Twilight has had a nearly four-year head start and has already put out an equal number of box office giants. By the time Mockingjay hits theaters (movie studios and Suzanne Collins willing), will Twilight fans be outnumbered by The Hunger Games‘ faithful?